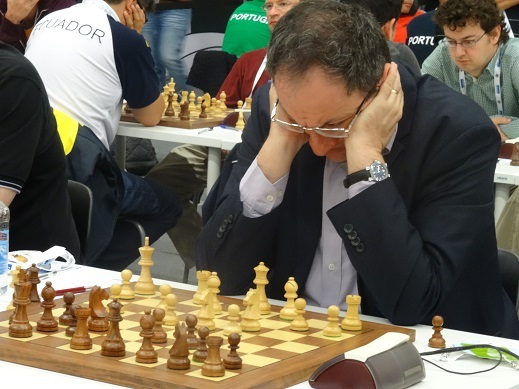 Boris Gelfand will not play in the 2016 Olympiad in Baku, his first absence from the world’s top team event since he moved from Belarus to Israel in 1998. 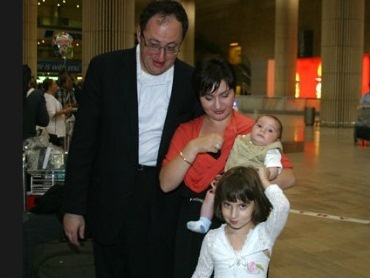 The reason is a dispute with the Israeli Chess Federation management, who he accuses in a recent interview of having “absolutely forgotten about such things as the prestige of the country”. The interview covers much more than that sad topic, though, including Boris’ thoughts on how lucky his generation was to be able to combine the best of the pre-computer age with new technology. You’ve lived in Israel since 1998. Is it the best country for a famous chess player? It’s the best for me and my family, if you focus on gut feelings, but in chess terms things aren’t so good. Chess life in Israel is extremely poor. To begin with, geographically Israel is located far from the chess centres. Life is also much more expensive for a simple chess player in Israel than it is in the former Soviet Union and in Europe. Well, and finally, there just isn’t any awareness in general here that chess is a serious activity. I was really amused by the story of how one Israeli journalist asked you what you did for a living and where. There are more interesting questions than that: “What other games do you play?”, “Do you dream of becoming as famous as our footballers?” Few realise how much work and effort goes into success, although I must admit that after my World Championship match against Anand the number of children starting to play chess grew four times in Israel. Chess has become an obligatory subject in primary school and even in nursery schools in our city. Of course only a fraction of those people will play professionally, but the rest will acquire the skill of strategic planning and the habit of thinking, taking responsibility for your actions and respecting your opponent. Very useful skills, incidentally. I know many very successful people in Russia, Austria, Spain, Germany and Israel who’ve told me that they achieved success largely down to chess. In general, I’m convinced that the connection is quite direct, but in Israel far from everyone sees it like that. Nevertheless, one of the computer programs which Kasparov competed against was developed in Israel. Yes, for many years it was the best, eight or nine times winning the World Championship, but that’s more technological history. All the programmers, of course, were candidate masters, and they also turned to grandmasters. I also gave advice a few times. However, overall that’s a story of technology and how a program can tap the whole potential of computers, which are nowadays more and more powerful. That has nothing to do with chess culture. That’s surprising, of course, since there’s a stereotype about chess being the Jewish national sport. That stereotype is connected to East European Jews. In the Soviet Union the ability to play chess was considered an essential attribute of an intelligent person. In Israel the situation is different. Among people 70-80 years old many are interested in chess. In the 70s the national championship was even covered actively in the press, but now a whole generation has grown up that, in a chess sense, is a lost one. Besides that, Israeli chess is now, perhaps, enduring the toughest period in its history. People have come to power in the chess world who offer an incredible combination of rudeness and incompetence, and are concerned only with their provincial interests and egos. For the first time since 1935 the Israeli team at the next Olympiad won’t be represented by the strongest line-up. The Israeli chess management have absolutely forgotten about such things as the prestige of the country. On the subject of chess and Jews, do many chess players observe Jewish customs? The legendary Reshevsky wouldn’t play on the Sabbath. I saw him at a tournament in Moscow in 1989. I recall that on Friday he went on foot from Izmailovo to the only synagogue in Moscow back then, on the old Arkhipova Street. His games were moved to Friday morning and Saturday evening. At the time he was approaching eighty. Do you often recall your chess school in Minsk? Of course. To this day we’re still very close. When I played a World Championship match my friends and all the trainers turned up to support me. That was very touching. I was very lucky – me and the people of my age: we got a good education and then, when computers entered our lives, we were still flexible enough to get used to them and adapt our knowledge. So we learned both to work with trainers and to exploit the benefits of the computer. Chess players even just 5-10 years older were already absolutely unable to adapt, while those who were younger, on the contrary, didn’t get as much as they should have from books and personal contact. By the way, that gap can still constantly be felt. Only a few of the young – those who, in essence, are geniuses – can get by without it. Overall, though, even with strong players, grandmasters, you can often sense a lack of schooling. How does that manifest itself? They don’t grasp the game as a whole, but individual moves i.e. rather than seeing the whole picture they only see fragments, though there again it’s about their own relation to chess. Today there’s no problem finding a professional trainer, but they simply don’t see the point in that. Working with someone, adjusting, paying money – why bother, if you’ve got a computer? And up to a certain level it really is faster with the computer. You press a button and you get information that at times we spent years accumulating. My trainer and I do, of course, also turn to the computer, but only to check which move it recommends in a concrete situation. Otherwise the computer can completely surpress your human creativity. Are you friends with any of your opponents at the board? Who do you have the warmest relations with? Aronian. In terms of music he really opened up a lot for me. 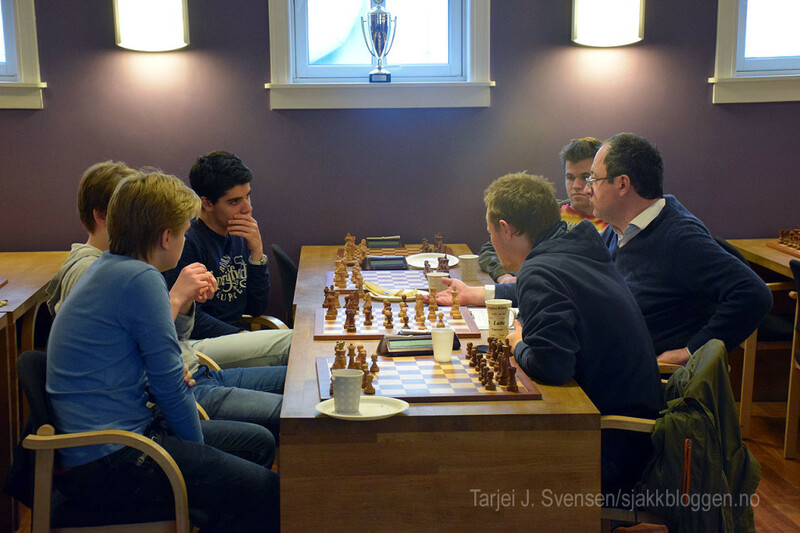 We discuss literature and simply discuss, with him, Kramnik, Anand. We have dinner together at tournaments and talk. I’m even afraid to touch on this topic, since you’ve no doubt been asked about your 2012 World Champion match against Anand on hundreds of occasions, but still – how was it? It was terrific! I almost climbed to the summit. It was very tough to get there. The path leading to that match was very narrow, but I made it, and it was a very great achievement. The match itself will, of course, stick in my mind forever. The stress was huge, but the joy was also endless – precisely because you’re playing a match for the World Championship title. I remember that each morning I woke up with a sense of celebration. Many fail to understand that. Anand, for example, said that it was hard work for him. You said the road to that match was long. That involved the knockout system, didn’t it? What do you think about that? On the road to the World Championship match I managed to win the 2009 World Cup and the 2011 Candidates Matches. In general, I’m in favour of there being more tournaments of all kinds. Each system has its advantages. The knockout system allows a lot of people to take part. Moreover, if your play goes badly then you can go home after two days and don’t have to suffer any more. On the other hand, you need to learn to control yourself. I prefer round-robin tournaments or matches, when the price of one game is less and you can play more creatively. The knockout system is more about playing for a result. Your wife Maya recently published a book of recipes, “How to feed a Champion”, where you were described as the main hero - a little ironically, but in a very good-natured way. Your father very touchingly collected 60 albums devoted to your life and career, which formed the basis of a documentary film in Israel. Do you appreciate that? Of course, I’m very grateful to my family. To Maya, for supporting me in my routine, which is the extremely unusual one of a chess player: you get up, do some exercise, have breakfast and immediately get down to chess – looking at games that have been played, preparing to work with a trainer, and so on until evening. I’m really grateful to my parents. I recall our first trip to Crimea: I was 5-6 years old, and I played chess on the beach for two weeks. I managed to win two games against my father’s friend, a first category player. When that guy saw I had ability he recommended my dad took me to see a trainer. That’s how Eduard Zelkind appeared in my life. Your first trainer is very important, since he does the groundwork. Now almost everyone is focused on an immediate result – largely because there are too many championships and tournaments for children. Trainers teach the youngsters traps and psychological ploys, but not the essentials. The main task of a trainer is to instil a love and interest in chess. There’s also another extreme, when a trip to a World Championship is treated simply like a free visit abroad. Those two extremes should be avoided: on the one hand by motivation, while on the other by not applying psychological pressure. I nevertheless have to ask a selfish question here: is it seriously worth encouraging kids to go for a chess career if it’s clear that very, very few of them will be able to secure themselves a comfortable existence from the game? If the kid has even the slightest doubt then it’s not worth it. In that case he or she has to go and choose another career, because in principle chess, like music and art, is only for people who are obsessed. In London recently I met David Norwood. The last time I saw him, terrible as it is to say, was in 1987, at the European Championship. I beat him back then in the decisive game and became champion. Then so many years later we met again. He was very glad to see me, and said: “Thank you for making a man of me. Back then you made it clear to me that it wasn’t worth my playing chess professionally. I quit chess for business and now I’ve got a lucrative and thriving business”. And I can give another example, about the current World Champion Magnus Carlsen. When he was 16 his dad Henrik asked me if he should continue playing or whether it was better to go to university and study. Of course I saw that Magnus had huge talent, but would he become a champion? I replied at the time that if Magnus enjoys chess then he should definitely continue. Well, just look what I went and did! By the way, you can’t reproach Carlsen from the point of view of finance either. Apart from chess he works as a highly-paid model and in Norway he’s a popular celebrity. No, you can’t reproach Carlsen from any point of view. He leads a very active life and he enjoys it, although he’s quite a modest person: he rides the metro in Oslo and goes to McDonald’s. True, recently he’s learned to pick some more decent places, and he took me to some simple and delicious restaurants in Oslo. Can anyone beat him in the near future? In matches, in general, anyone could. Carlsen is, of course, the clear favourite, but many would have a chance. As for tournaments – he wins the majority of them. Nevertheless, there are still contenders for his crown. I’m cautious in my predictions. To improve and to eradicate flaws in my game. I always set myself general rather than concrete goals: to learn something new, to improve my play. For me it’s not important to win here and now, it’s important for me to play good chess, so I get pleasure from it. I’m very harsh with myself, so I’m very rarely satisfied. Perhaps that’s why I’ve had such a long career. Many quit early precisely because their motivation drops. They think you can only develop up to a certain age, but I can still see before me the example of the legendary and recently departed Viktor Korchnoi. At a tournament in honour of his 70th birthday he beat me, then Grischuk and ended the event in first place. He played brilliantly. My goal is the same – to continue to play chess well.